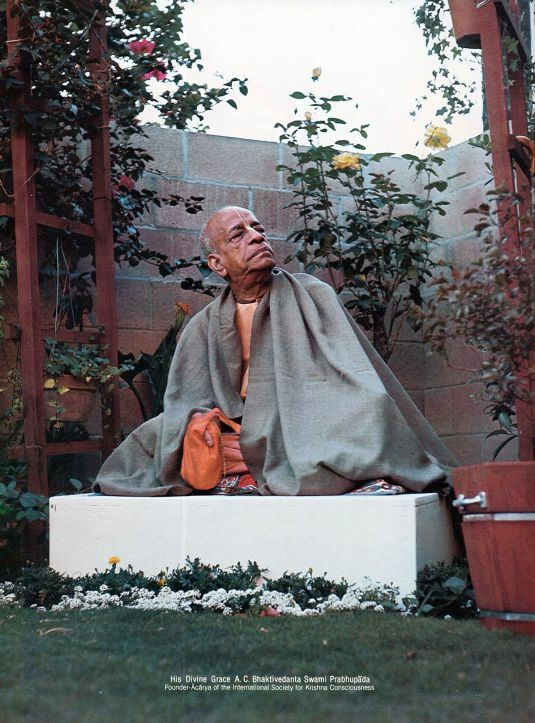 Srila Prabhupada left this world on November 14th 1977 in Krishna’s holy land of Vrindavan. He had been translating his books and instructing his disciples to the very last, and left in the most auspicious circumstances, surrounded by his disciples chanting the maha-mantra. Thus Srila Prabhupada has left an open invitation for all future generations to become his direct initiated disciple if they so wish. Any sincere seeker of the truth who appreciates Srila Prabhupada’s glorious life and achievements, and carefully studies his teachings, must surely find this an attractive proposition.